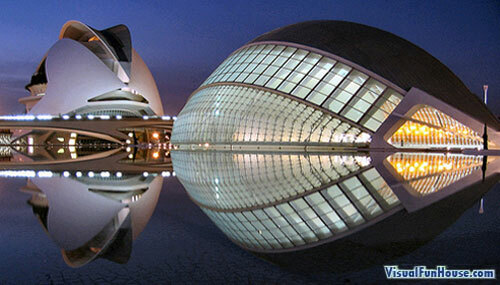 The Valencia’s Perfect Reflection Optical Illusion was one i stumbled across and just had to post, this stunning picture taken by Optical Illusion on flickr. Santiago Calatrava’s ‘Ciudad de las Artes y las Ciencias’ Is the building featured in this picture, the photo was taken with the water still as glass giving it a near perfect reflection. It almost looks like a big eyeball looking out over the water.